Choosing the right equipment, supplies and furnishings are essential to your foodservice business’ success. From the hi tech, multipurpose combi oven to the humble steam pan, all your restaurant, bar, hotel, cafeteria, and medical/ALF facilities equipment, supplies and furnishings must be the right fit to ensure the right profit margins & efficiency without sacrificing the quality of your food, beverage and services offerings. 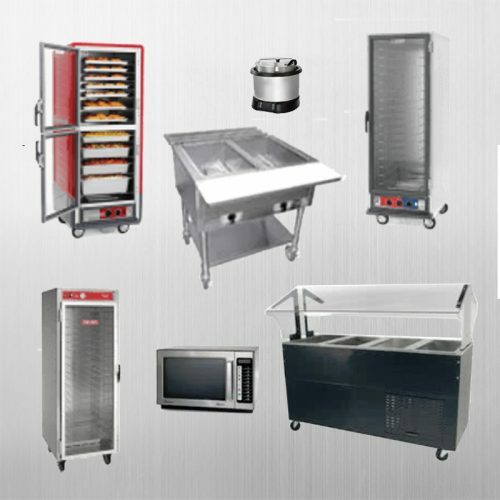 We offer an extensive selection of foodservice equipment supplies and furnishings accompanied by expert advice and backed by our company’s 40 years of experience. Our consultants will work with you to choose the optimal return on investment with consideration to work flow, flexibility with menu and operations changes, ease of sanitation and supervision as well as space and energy efficiency and will provide you with the best delivery and set up options. 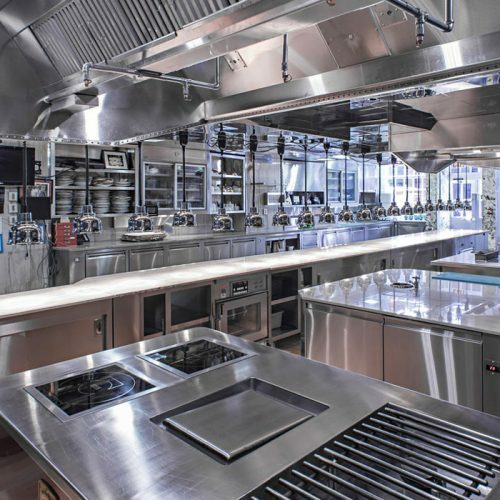 Choosing the right cooking equipment is essential to any foodservice establishment’s success. From the multipurpose combi oven to the humble hot dog steamer, all your equipment must be the right fit to ensure kitchen efficiency without sacrificing the quality of your food. We offer an extensive selection of cooking equipment accompanied by expert advice and backed by our company’s 40 years of experience. Our consultants will work with you to choose the optimal return on investment with consideration to your kitchen’s needs with work flow, flexibility with menu and operations changes, ease of sanitation and supervision as well as space and energy efficiency and will provide you with the best delivery and set up options. Featuring Amana, Blodgett, Frymaster, Garland, Hatco, Pitco, Southbend, Vulcan. 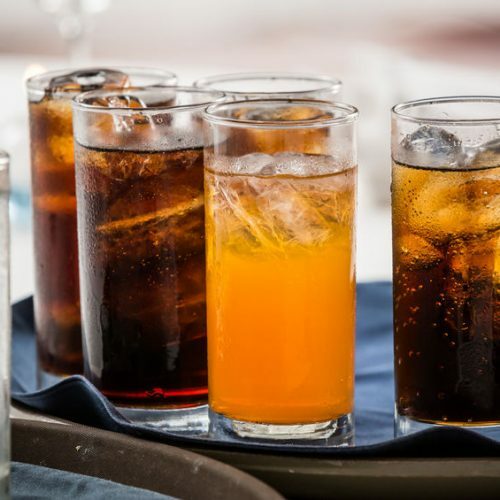 Refrigerated food & beverage storage, preparation and merchandizing are essential to avoiding waste and providing the highest levels of quality and safety without hurting your margins. Choosing the right refrigeration equipment for your restaurant, bar, hotel, cafeteria, or medical/ALF operations are essential to establishment’s success. From the multipurpose combi oven to the humble hot dog steamer, all your equipment must be the right fit to ensure kitchen efficiency without sacrificing the quality of your food. 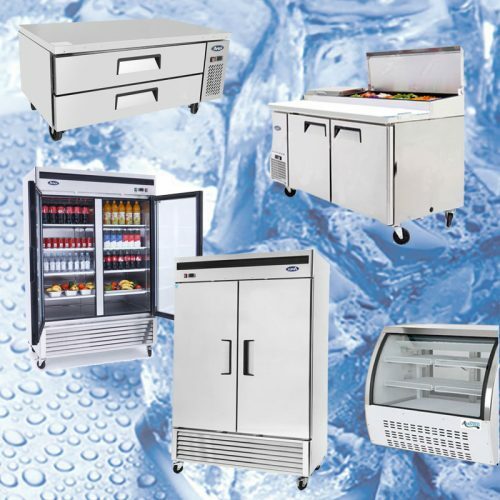 We offer an extensive selection of refrigeration and freezer equipment types including reach-in, undercounter, bar, prep, merchandizer and walk-ins all accompanied by expert advice and backed by our company’s 40 years of experience. Our consultants will work with you to choose the optimal return on investment with consideration to your operation’s needs with work flow, flexibility with menu and operations changes, ease of sanitation and supervision as well as space and energy efficiency and will provide you with the best delivery and set up options. Featuring American Panel, Beverage-Air, Continental, Delfield, Master-Bilt, True & Turbo Air. A successful foodservice establishment is one that can efficiently serve ever increasing volumes of quality foods and beverages that will come hand in hand with ever increasing volumes of soiled table top, bar and kitchen ware that needs to be turned around as soon as possible. We offer an extensive selection of dish washing equipment types including single /double rack, undercounter, conveyor and dishtables accompanied by expert advice and backed by our company’s 40 years of experience. Our consultants will work with you to choose the optimal return on investment with consideration to your operation’s needs with work flow, flexibility with menu and operations changes, ease of sanitation and supervision as well as space and energy efficiency and will provide you with the best delivery and set up options. Featuring Advance Tabco, Jackson, Moyer Dieble & Salvajor. Bar functionality is key to customer experience and choice of bar equipment and their layout is essential to that functionality. 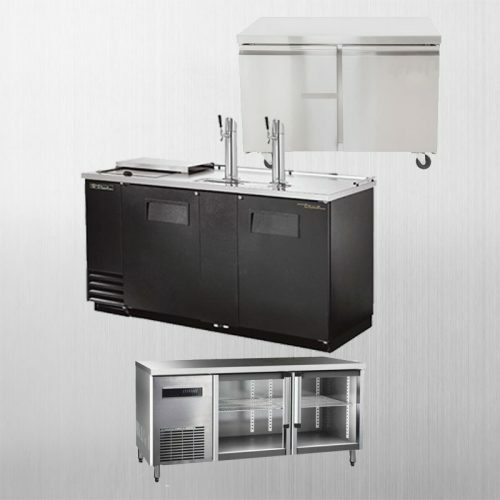 We offer an extensive selection of bar equipment that include but not limited to refrigeration, dispensing, storage and serving, that can address the challenges of bar work flow within small spaces complexities all accompanied by expert advice and backed by our company’s 40 years of experience. Our consultants will work with you to choose the optimal return on investment with consideration to your kitchen’s needs with work flow, flexibility with menu and operations changes, ease of sanitation and supervision as well as space and energy efficiency and will provide you with the best delivery and set up options. Featuring Advance Tabco, Chill-Rite, Glastender, Hamilton Beach, Krowne, Perlick, Turbo Air, Vitamix & Waring. Choosing the warming and holding equipment is essential to any foodservice establishment’s success. From the multipurpose combi oven to the humble hot dog steamer, all your equipment must be the right fit to ensure kitchen efficiency without sacrificing the quality of your food. 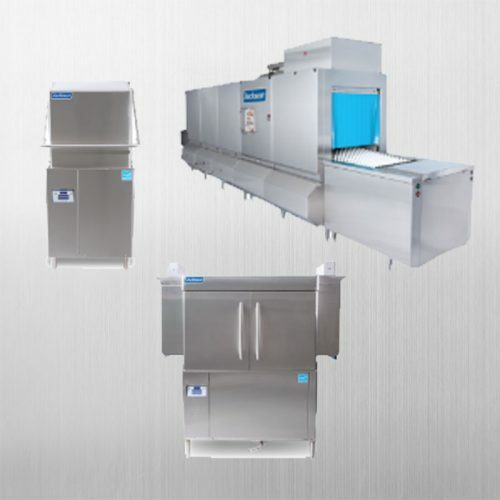 We offer an extensive selection of warming and holding equipment to fit all your need including dry heat environment, moist heat environment, self-serve merchandisers, food transport food and specialty purpose such as bakery proofing cabinets or rice warmers all accompanied by expert advice and backed by our company’s 40 years of experience. Our consultants will work with you to choose the optimal return on investment with consideration to your kitchen’s needs with work flow, flexibility with menu and operations changes, ease of sanitation and supervision as well as space and energy efficiency and will provide you with the best delivery and set up options. Featuring Alto-Shaam, Cambro, Carter-Hoffman, Eagle Group, Intermetro, Vollrath. Display equipment can be a great way to increase sales while serving equipment will enhance customer satisfaction. 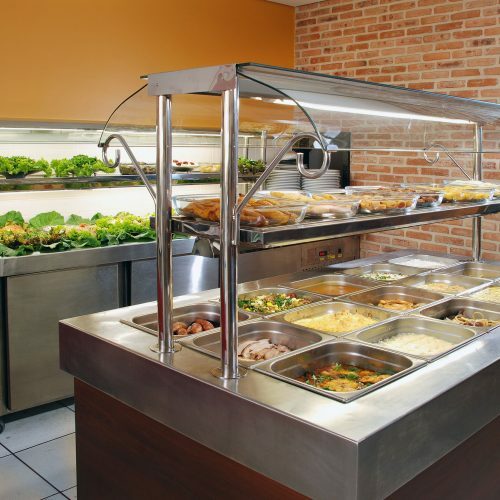 We offer an extensive selection of display and serving equipment for all types of foodservice including bakeries, coffee shops, convenience stores, cafeterias, medical and assisted living facilities, and independent & chain restaurants, all accompanied by expert advice and backed by our company’s 40 years of experience. Our consultants will work with you to choose the optimal return on investment with consideration to your kitchen’s needs with work flow, flexibility with menu and operations changes, ease of sanitation and supervision as well as space and energy efficiency and will provide you with the best delivery and set up options. Featuring Delfield, Equipex, Federal Industries, Structural Concepts, Victory & Vollrath. Choosing the right beverage equipment is essential to any foodservice establishment’s success with consideration to work flow, flexibility with menu and operations changes, ease of sanitation and supervision as well as space and energy efficiency beverage equipment to accommodate your need from serving and pouring coffee and tea to juicing and blending stations, for all types of foodservice including bakeries, coffee shops, convenience stores, cafeterias, medical and assisted living facilities, and independent & chain restaurants, all accompanied by expert advice and backed by our company’s 40 years of experience. Our consultants will work with you to choose the optimal return on investment with consideration to your kitchen’s needs with work flow, flexibility with menu and operations changes, ease of sanitation and supervision as well as space and energy efficiency and will provide you with the best delivery and set up options. Featuring Bloomfield, Bunn, Grindmaster/Cecilware, Hamilton Beach & Waring. We provide delivery and setup services tailored to the need of your business. 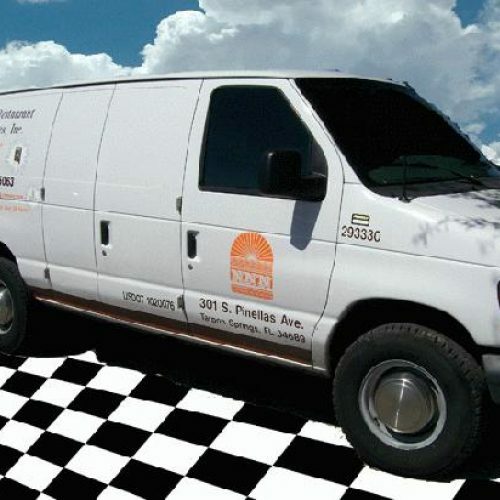 For delivery, we use own trucks or independent delivery companies such as truck lines or UPS. For installations, our consultants work with contractors, architects, designers, specifiers, plumbers, electricians and HVAC contractors to assure a quality installation.